« My Christmas Knitting is Finished! oh wow, those mitts are incredible!! and lined mitts are the best- the ones I wear every day in the winter are lined too, and you just can’t beat the cozy feeling. Those are so beautiful, and I love the lining! 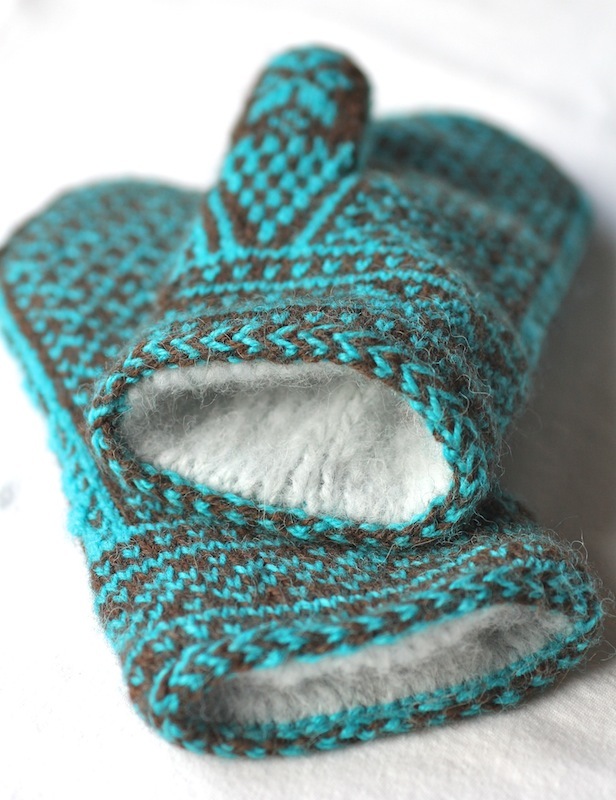 Do you sell any of the mittens that you make on Etsy? I’m sorry, but I don’t sell any of my mittens! Thanks for asking. The pattern calls for regular Ultra Alpaca, and you say you used light? Does it still take one skein? Did the mittens turn out smaller than usual? I have a few skeins of the light and was hoping to make these, but my hands are medium to large (women’s). Dawn: I had knit these mittens before (If you are on Ravelry, here is the link: http://www.ravelry.com/projects/ItalianDishKnits/northman-mittens) and when I first knit them, the pattern called for DK weight yarn, so that’s what I used. It’s weird but he changed the pattern after that to worsted weight – don’t know why. I explain on my Ravelry page about that. So when I knit them again, I used DK again but just went up a needle size because I thought the first ones were just a tad small. Hope this helps. Can’t remember how much yarn I used but it was what the pattern called for. Thanks! I am using the light, and they are turning out lovely, but a bit short. I’ve added a few rows and extended the pattern to compensate, because they aren’t too small around. Oh, I can’t believe these are hand knit!! They are simply beautiful!! Just came across your blog. Will be stopping by frequently. What is “magic loop” referred to with the needles? 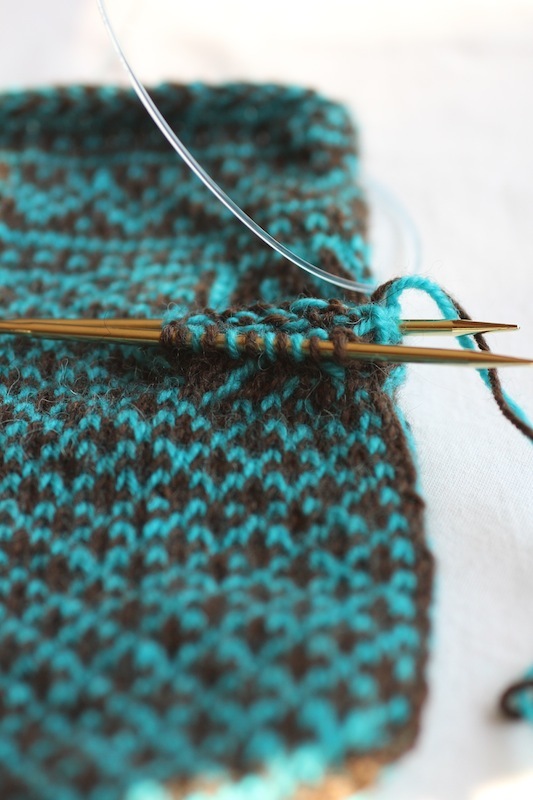 It’s an awesome technique for knitting in the round using circular needles instead of double points. I love it. What a beautiful treasure…your attention to detail in all you do is duly noted and applauded. All these beautiful projects completed and documented here for the public to view…hats off to you!! 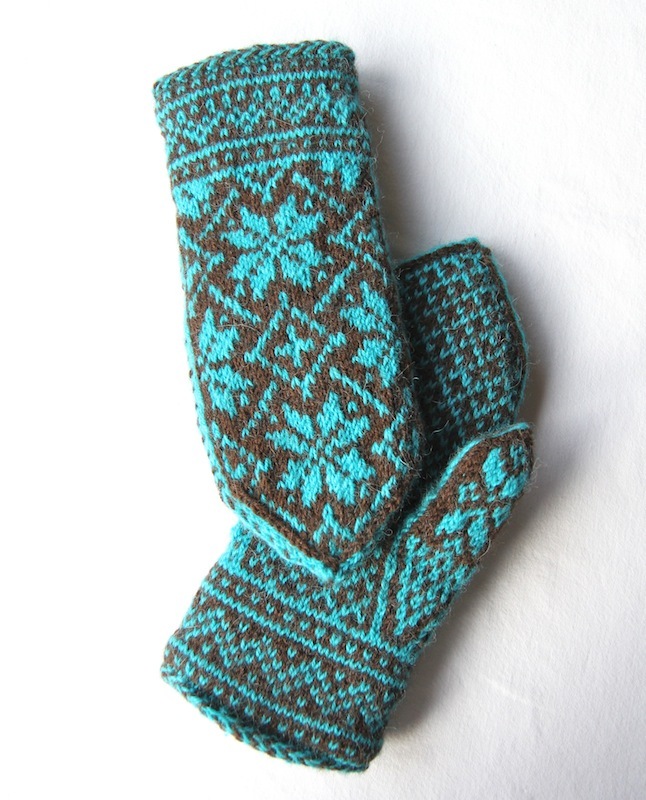 I am looking for the perfect pair of mittens for a friend…I think the Northman is the pair…I just love the lined mitten…and special touches to the pattern. I look forward to seeing what you are up to next. Melissa: I’ve never tried double knitting but always wanted to! Thank you for your kind words about my knitting. 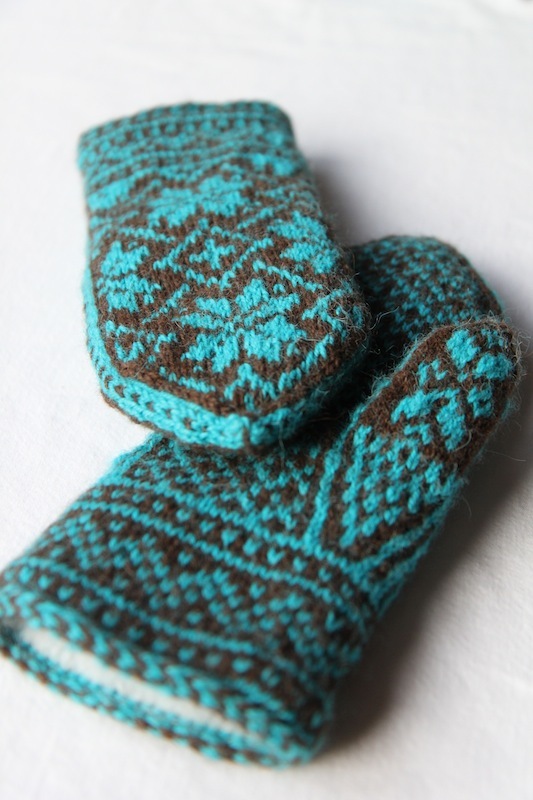 The Northman mitten is so fun to knit. I love the colours you have chosen for these mittens. 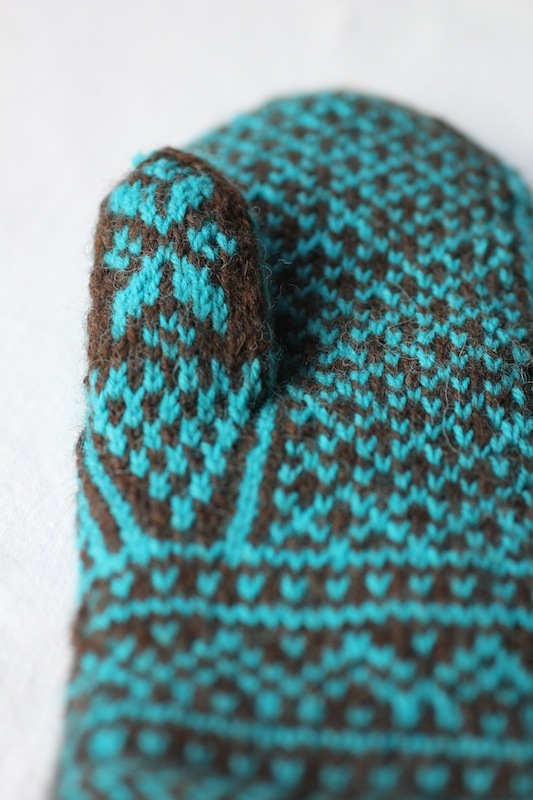 If you want to make larger mittens, do you just knit with bigger needles? What would you recommend for a men’s medium size? Teresa: The pattern gives you three sizes to knit – S, M or L. You switch needles to adjust the size, if I remember correctly. For a men’s medium, I guess I would knit the Large size. Hope this helps. Thanks so much for your help. I’m looking forward to making one. Thank you for posting all your wonderful tips and pictures to inspire me! Does the pattern include instructions for adding the lining? 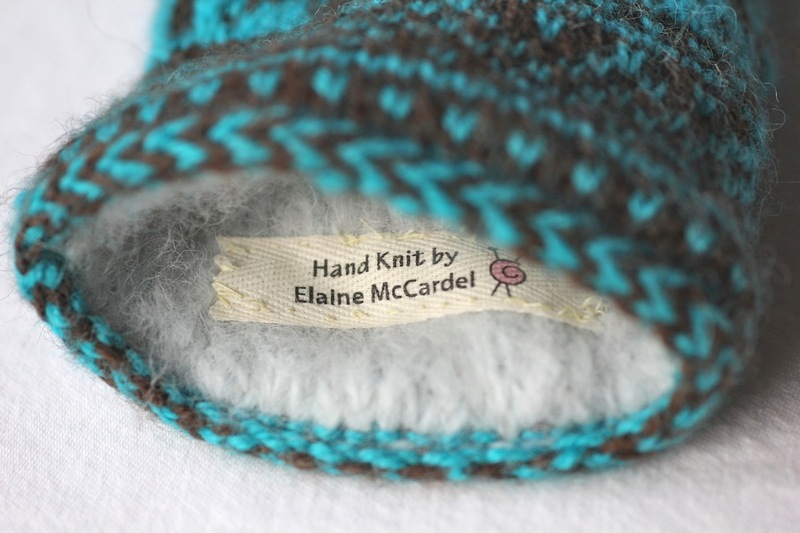 Yes – the pattern includes the lining instructions!